Chevy Van debuted in 1964 to critical acclaim. The public had not seen such a fine piece of machinery before. While the Chevy Van gave a lot of cargo room, it also gave drivers a great source of V8 power. The Detroit Diesel eventually made its way into the series of Chevy Vans. What was offered was the 6.2L displacement. This engine needed to be huge to power the vans when hauling cargo or passengers. We can set you up with Chevy Van 6.2L diesel engines for prices that you’ve never seen before online. We don’t make false promises. We just make low prices. Well over 150 horsepower is available with our high torque engines. Finding a diesel online does not have to be challenging for you. You are now in contact with diesel engine experts. We want to see you succeed in getting the 6.2L engine you need. A Chevy Van engine is not something you can just find in any location. Even some of the so-called low priced ones on eBay often have things wrong with them. We have taken it upon ourselves to be one of the largest Chevrolet Van engine suppliers online. 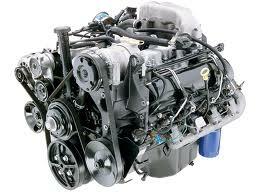 We offer both gasoline and diesel engines. The 6.2L actually stopped production in 1993. This was due to a variety of factors but GM didn’t let anyone down. These engines are still available for us to buy. There is a newer 6.5L that has taken over where the original 6.2L left off. We have a great partnership with our Chevrolet engine suppliers. These professionals know that we have business clients that depend on excellent diesel engines. It is a hard sell when trying to put a rusted out engine into the car of a customer. We understand the difficulties that business owners today face in the engine world. We offer our stocked inventory to all people. It’s easy to get a Chevy Van engine you can be proud of right here online. Diesel engines are huge make no mistake about it. It takes a lot of time and effort finding companies that can ship these engines. We get them sent to us from our wholesalers where we takeover from there. Engines sold under our used brand are cleaned and evaluated. These are also tested for compression and other important aspects. The ones waiting for a rebuild are taken right into our engine facility. We commence to taking the diesels apart and the putting them back together again with newer parts. The complete overhaul of a Detroit Diesel is definitely one thing that we do better than most that try. You are just moments away from a low cost 6.2L diesel engine. Online engine quotes are something we pioneered on our website. Some companies replicate it but none have mastered it. Use our Chevy 6.2L diesel engine quote form now. It will explain our pricing, inventory and our extension of the original OEM warranty. Buying diesels online just became simpler due to our website. Call us anytime at 1-877-630-3877. We’re waiting to hear from you and pair you up with a dependable 6.2L engine.